Site Admission: FREE. Children: ½ Price. Group Discounts. Visiting Hours: 24 / 7 / 365¼. "Working ......... working ........ working ....... "
That's what we had to repeat on in-country phone calls. The phone system used old fashioned switchboards with operators manually patching calls over the network. If there was any lengthy period of silence on the circuit because one party had to step away for a moment, the operators might take that as a completed call and pull the plug. An occasional 'working' would let them know the circuit was live. The "Peanut Whistle of the Central Highlands" was a pirate FM station in the mountainous Pleiku area commonly known as the Central Highlands. 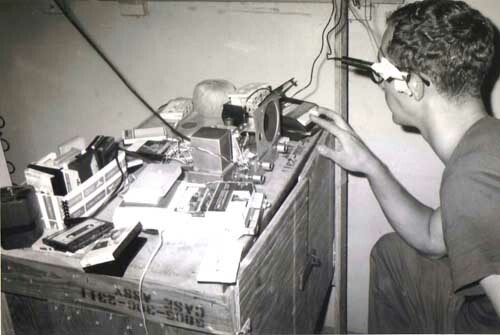 It was a homemade Wideband FM Broadcast Band transmitter, operating at approximately 95 MHz, designed and built by me, SP5 Schmidt, during my 1971-72 tour of duty with the 146th Signal Company in Vietnam. 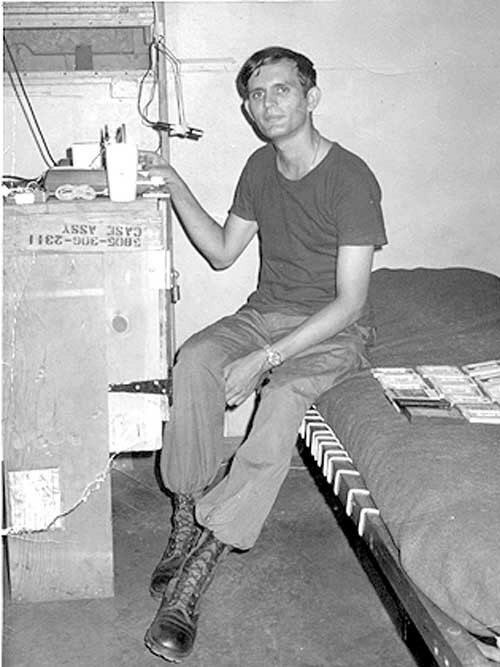 Schmidt (the CCCK) and several volunteers from the 146th, shared the role of DJ and played music for the local compound (and beyond) using two cassette recorders and occasionally a reel-to-reel for extended automated broadcasts. Range was up to two miles, maybe more under good conditions. 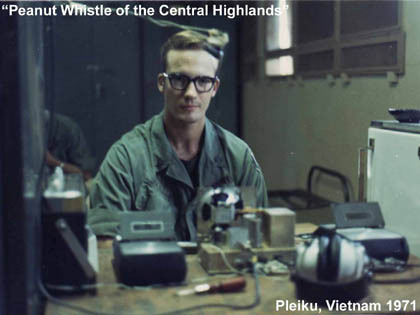 Operating from the 146th Signal Company barracks 'studio', the Peanut Whistle of the Central Highlands provided some of the finest quality hi-fi English broadcast music in the Pleiku area. 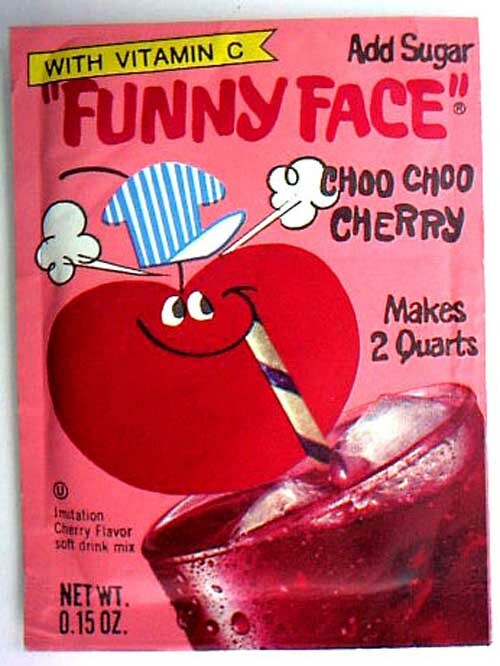 Here are several audio clips from the 1971 Peanut Whistle broadcasts. The original hour long recordings were edited down to these DJ announcements. 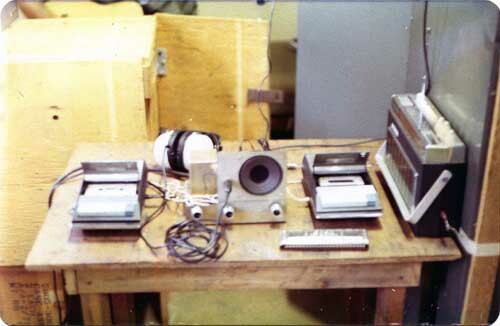 They were recorded live directly off the radio courtesy of SP5 Gray who was patient enough to make them, thoughtful enough to save them for 38 years and kind enough to convert them to a digital format to share. It's a safe bet there is nothing else like them in existence. Enjoy. 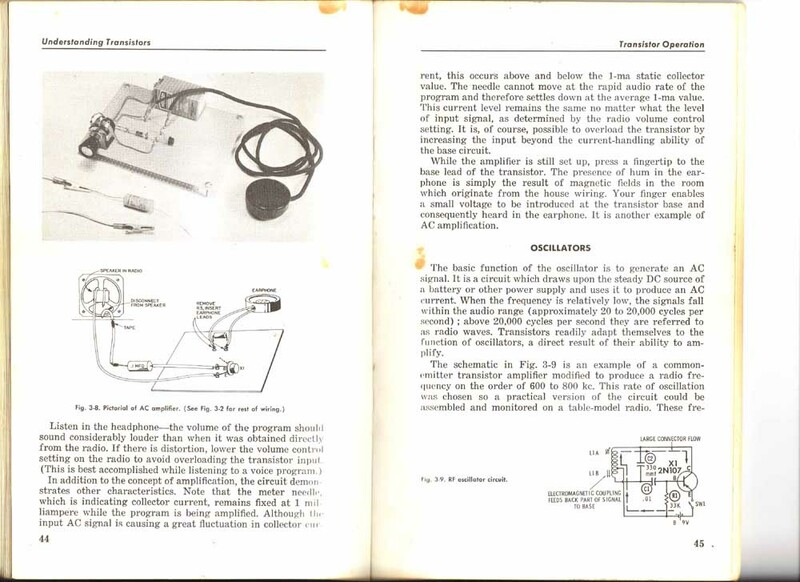 The inspiration for the PW transmitter came from the circuit shown above (bottom right) from the "Understanding Transistors" book, Allied Radio, 1964. SP5 Schmidt had this simple circuit committed to memory from having experimented with it back in the world. 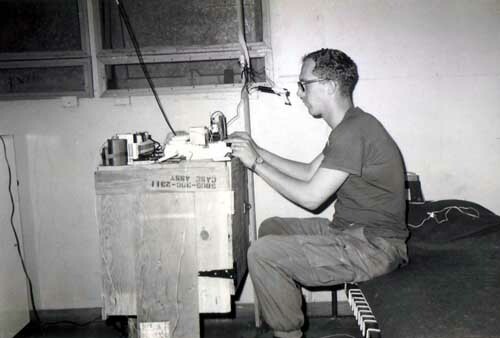 He had built many oscillators for the AM band through the FM band and beyond. It was a simple adaptation to take it from transistors to tubes. pause and then left-click for additonal FF images. Stan was a professional DJ in his pre-army days.